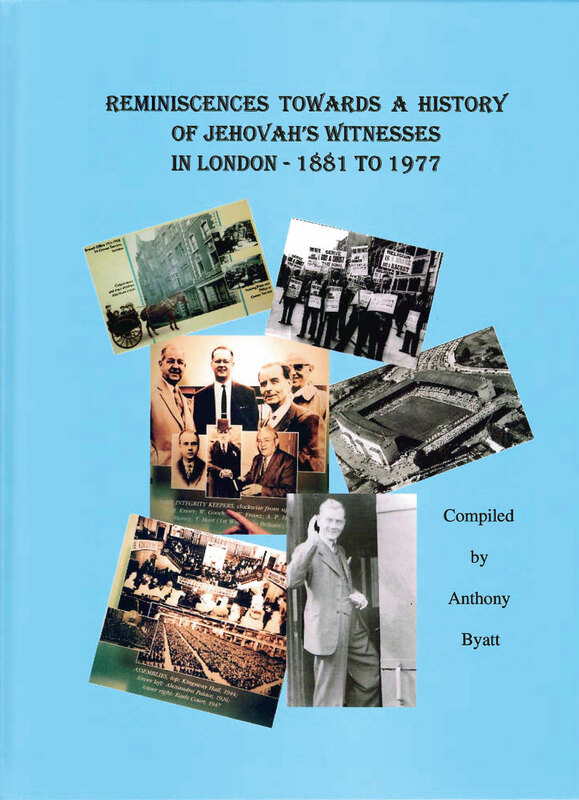 This book tells the story of Jehovah’s Witnesses in London from its start in 1881 to 1977, when I moved from London to Malvern. 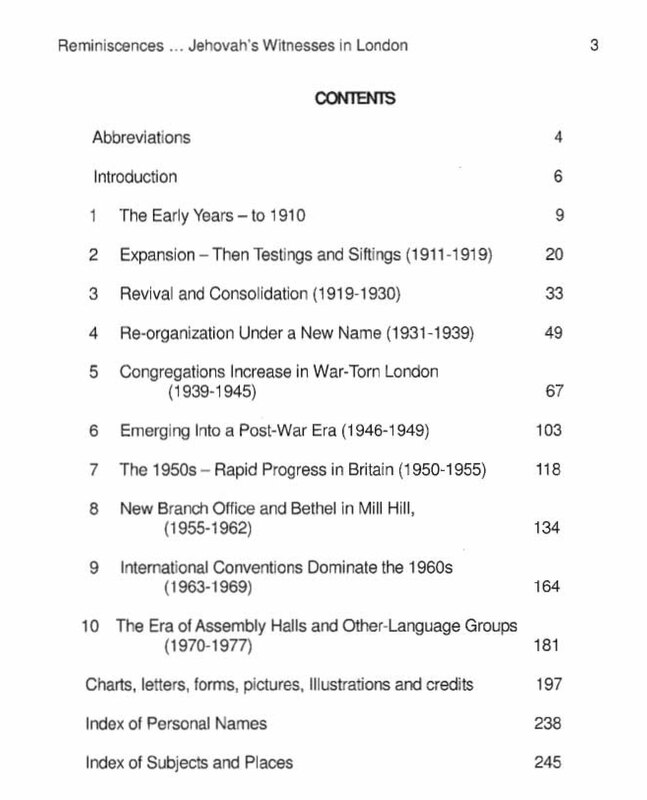 The four branches are included, and related Bethel homes, and all the large assemblies and conventions held in London, with many smaller assemblies too. You can see the progress made over the years as the truth became clearer, and the transition from quite a worldly religious attitude to one freed from all those ideas. All the changes in the methods of spreading the good news of God’s Kingdom are recorded, and the development of the organisation. It is strong evidence that the ‘faithful and discreet slave’ has always held fast constantly to the commission set out in its charter. 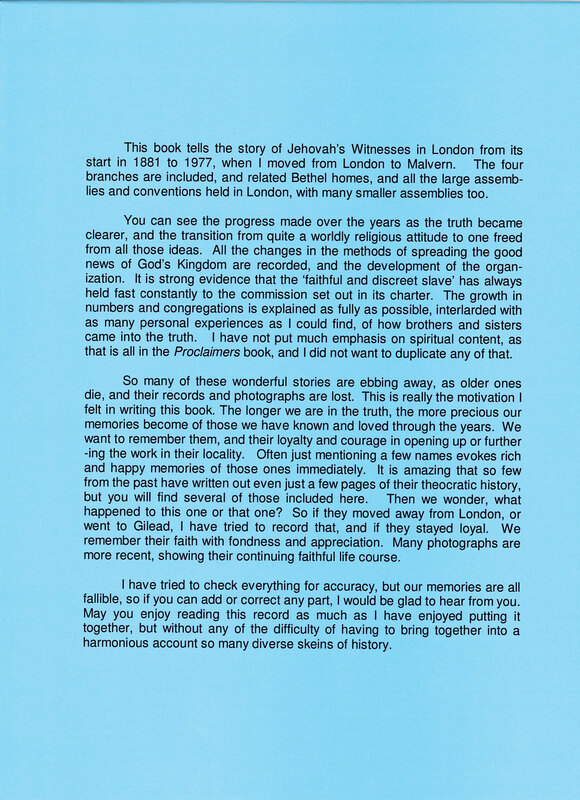 The growth in numbers and congregations is explained as fully as possible, interlaced with as many personal experiences as I could find, of how brothers and sisters came into the truth. I have not put much emphasis on spiritual content, as this is all in the Proclaimers book, and I did not want to duplicate any of that. This is really the motivation I felt in writing this book. So many of these wonderful stories are ebbing away, as older ones die, and their records and photographs are lost. The longer we are in the truth, the more precious our memories become of those we have known and loved through the years. We want to remember them, and their loyalty and courage in opening up or furthering the work in their locality. Often just mentioning a name evokes rich and happy memories of that one immediately. It is amazing that so few from the past have written out even just a few pages of their theocratic history, but you will find several of these included here. Then we wonder, what happened to this one or that one? So if they moved out of London, or went to Gilead, I have tried to follow them, and if they stayed loyal. We remember their faith with fondness and appreciation. Many photographs are more recent, showing a faithful life course. I have tried to check everything for accuracy, but our memories are all fallible, so if you can add or correct any part, I would be glad to hear from you. 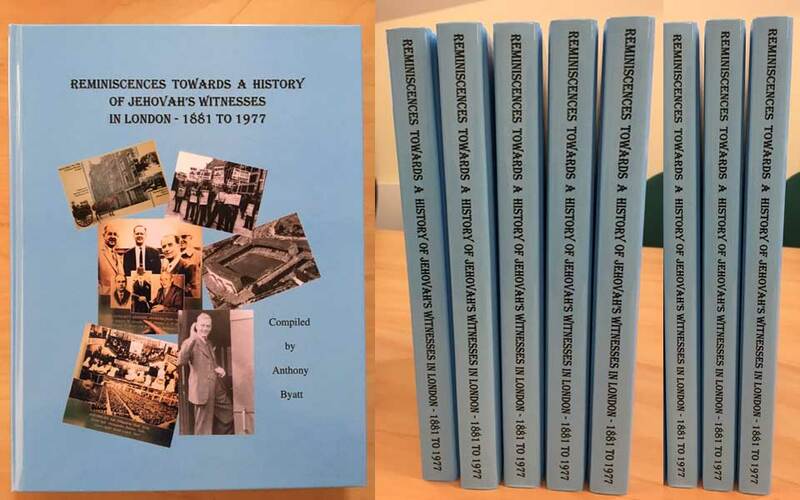 May you enjoy reading this record as much as I have enjoyed putting it together, but without any of the difficulty of having to bring together into a harmonious account so many diverse skeins of history.